Liverpool won both encounters last season against Huddersfield ‘to nil’ by an aggregate 6-0. "Liverpool have silenced their opposition in 13 of their past 20 Premier League contests when Virgil van Dijk has started at centre-half." After watching his side pick up a deserved draw at Burnley last time out, Huddersfield boss David Wagner said his squad "have everything" they need to survive in the Premier League. Christopher Schindler's header helped the Terriers take a point at Turf Moor - a result that lifted Town off the foot of the table. Huddersfield enjoyed nearly 70% of the ball in Lancashire, but lacked composure and finesse in the final third. Indeed, the Terriers were wasteful in front of goal, fashioning 19 shots, but only landing two on-target with Jonathan Hogg and Laurent Depoitre the chief culprits. Schindler should keep his place in the side having recovered from injury, while key midfield man Aaron Mooy is expected to be fit despite pulling out of Australia's squad. Elsewhere, Terence Kongolo is ruled out, while Ramadan Sobhi, Danny Williams, Philip Billing, Chris Löwe and Tommy Smith are doubts. Liverpool head into Saturday's showdown winless in their past four fixtures after being held to a 0-0 draw by Manchester City in their most recent outing. 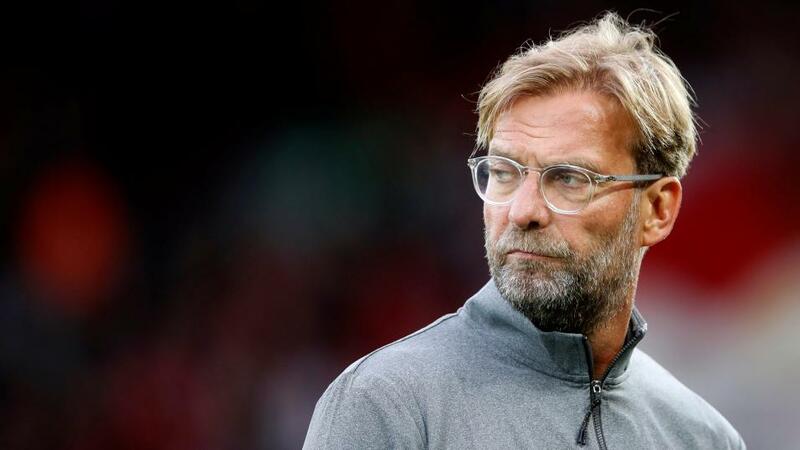 Manager Jurgen Klopp was satisfied with the goalless Anfield stalemate, a result that has kept the Merseysiders level on points at the top of the Premier League. Riyad Mahrez wasted a glorious opportunity to clinch top honours for City when he missed a late penalty. It handed the Reds a reprieve as both sides extended their unbeaten league start to eight games, although visiting goalkeeper was virtually unemployed as Liverpool's normally potent attack failed to fire. It's been a concerning fortnight for Klopp with Virgil van Dijk, Mohamed Salah, Naby Keita and Sadio Mane all returning from international duty with injuries. However, only Keita and Mane are expected to miss out, while James Milner could feature following a rapid recovery from his hamstring problem. Liverpool [1.34] did the double over Huddersfield [12.50] last term, winning both encounters 'to nil' by an aggregate 6-0. And the Reds will be confident they can repeat the feat on Saturday night with the Merseysiders available to support at [1.95] in the win 'to nil' market. The visitors are giving up fewer than five shots per-game from inside the penalty area and have restricted their opponents to just 0.41 Expected Goals per-game from open play on average. What's more, Liverpool have silenced their opposition in 13 of their past 20 Premier League contests when Virgil van Dijk has started at centre-half. Huddersfield are winless in their past 12 Premier League games (W0-D5-L7) - their longest winless streak in the league since 2000 - and have notched only four goals across their opening 12 hours of action this season. The hosts have scored a solitary goal in their past nine at their West Yorkshire base. Only Newcastle (0.42) are generating a lower xG from open play average per-game than the Terriers' tally of 0.44, and Town have already been beaten 'to nil' when welcoming Chelsea and Tottenham this term, as well as in three of their six meetings with Big Six clubs here in 2017/18. Considering we're already backing against Huddersfield scoring at the John Smith's Stadium on Saturday, a potential bet on Over 2.5 Goals [1.84] would then depend on Liverpool striking at least three times, which isn't beyond Jurgen Klopp's charges but may seem unlikely when viewing their recent displays. The Reds did notch three or more goals in six of their 10 trips to the bottom-half last season but the Merseysiders haven't been quite as effective offensively in the current campaign. With that in mind, I'm happy to leave the goals markets alone. We can bolster the Liverpool to win 'to nil' price to almost 9/5 by venturing into Betfair Sportsbook's Same Game Multi makets. Here, select Liverpool to win and Under 0.5 Huddersfield goals, as well as adding the Reds to lead at half-time. The guests have been ahead at the interval in six of their past eight trips to bottom-six teams, whilst Huddersfield have trailed at both half-time and full-time in five of their last seven home games with Big Six clubs.